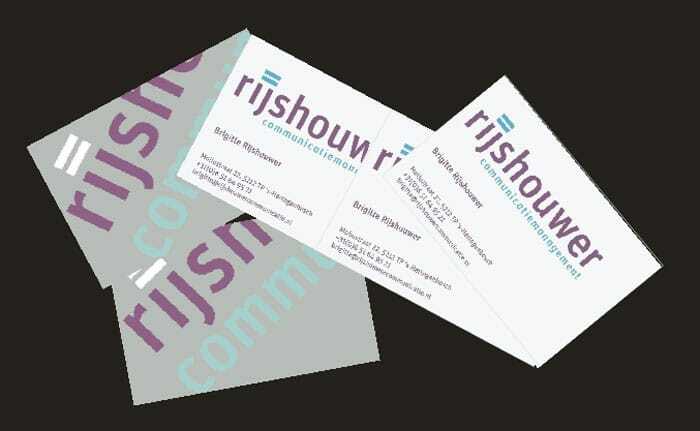 Rijshouwer Communicatie-Management is a new communications management and public relations agency based in ”s-Hertogenbosch in the centre of the Netherlands. Brigitte Rijshouwer came to us after struggling to find a corporate identity that matched her particular requirements of strong typography but with a degree of femininity in colour. We assessed the situation and came up with this simple solution, expressing the rather unusual name in lower case (FF Unit) with an equals sign replacing the double dots of the i and j.